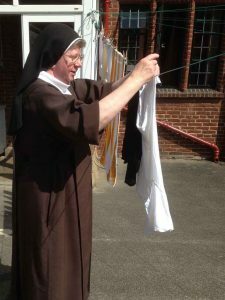 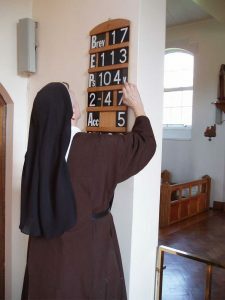 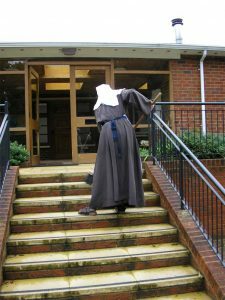 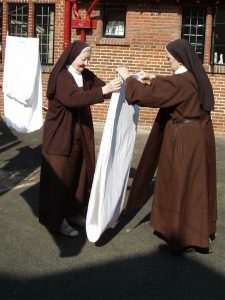 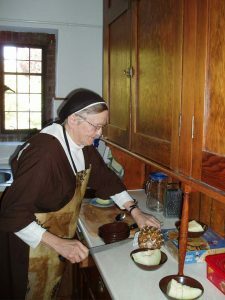 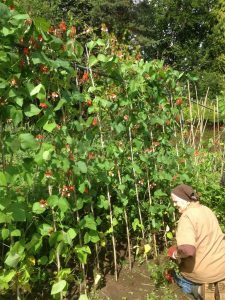 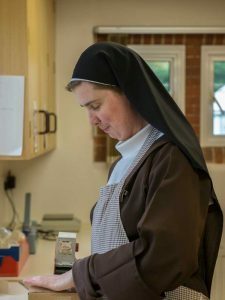 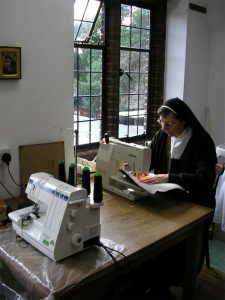 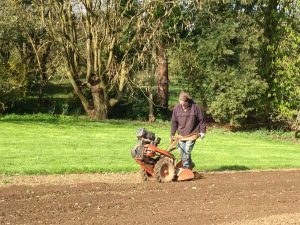 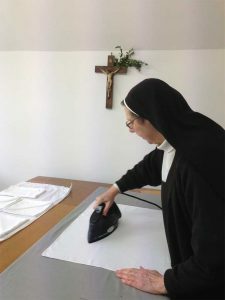 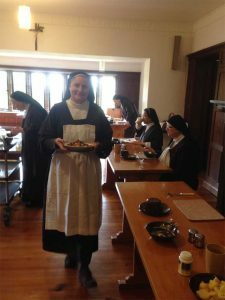 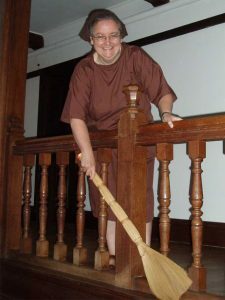 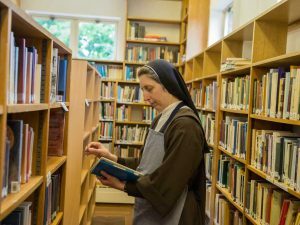 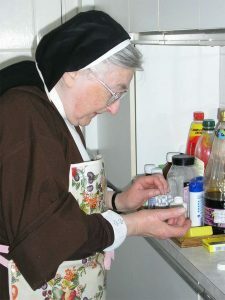 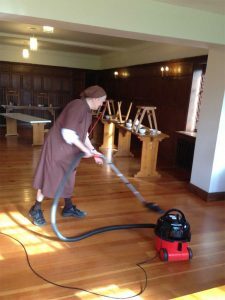 Work is an essential part of our Carmelite life. 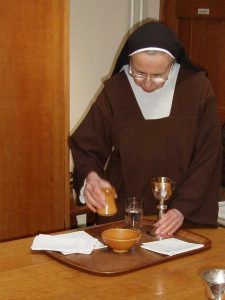 Our Rule states: ‘you must give yourself to work of some kind’ and reminds us of the teaching of the apostle Paul, who says that ‘whoever is not willing to work should not be allowed to eat either’ and that we must ‘earn our own bread by silent toil.’ Our daily life is a balance of work and prayer, and we move from one to the other throughout the day. 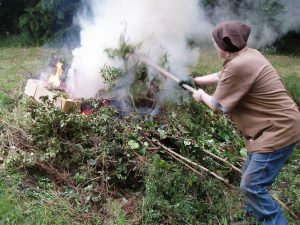 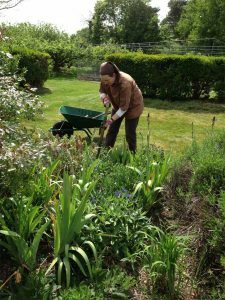 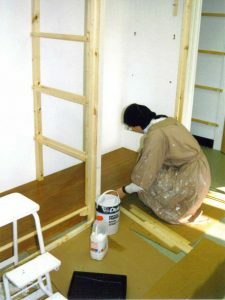 Most of our work is simple manual work, such as cooking, cleaning and gardening. 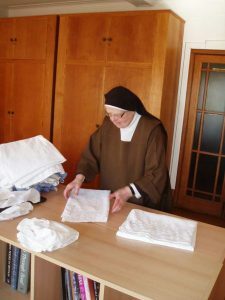 We also care for our elderly Sisters, and do all the administration needed for a large household. 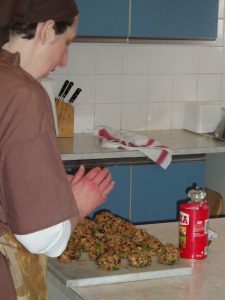 To generate some income, we run a small business selling altar breads. 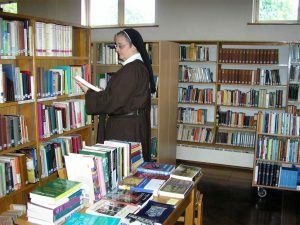 We also sell cards and icons made by Sisters. 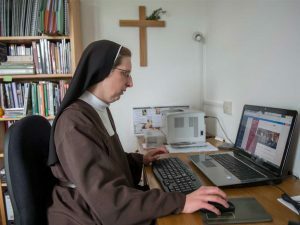 Where possible, we work in silence and solitude. 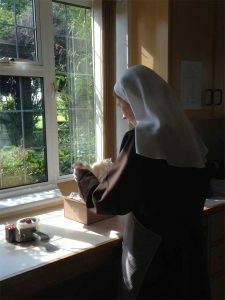 This kind of work enables us to focus on God in our hearts, even while our hands are busy. 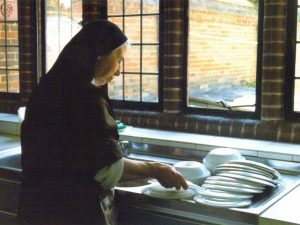 St Teresa reminds us that ‘the Lord walks among the pots and pans.’ We try to remain aware of the presence of Christ among us, in a spirit of recollection, whatever we are doing. 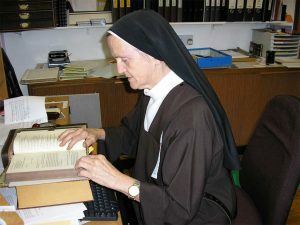 Work places us in solidarity with all people. 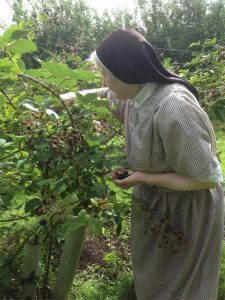 Through it, we unite ourselves with them and with the redemptive work of Christ. 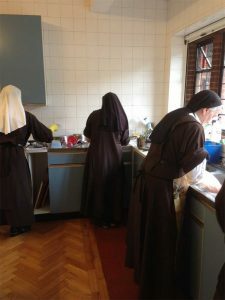 Work is also an invitation to turn away from ourselves, and to serve our Sisters, by giving our time, talents and energy for the good of others. 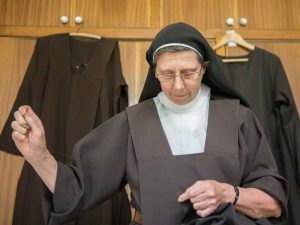 Our work is given to us by the Prioress, we do not choose it. 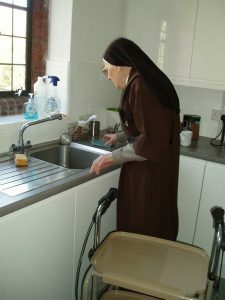 We seek to respond generously when obedience asks us to work in areas we find uncongenial or in other ways demanding. 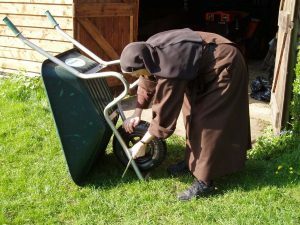 All work, however small or ordinary it may seem, can be done in a spirit of love for God and in service of our neighbour.